Privacy filter is designed for notebooks and LCD monitors. Use to prevent viewing by others; protect against scratches and fingerprints; minimize glare; and reduce eyestrain. Screen information is viewable only to users directly in front of the monitor. Onlookers see a darkened screen from the side. 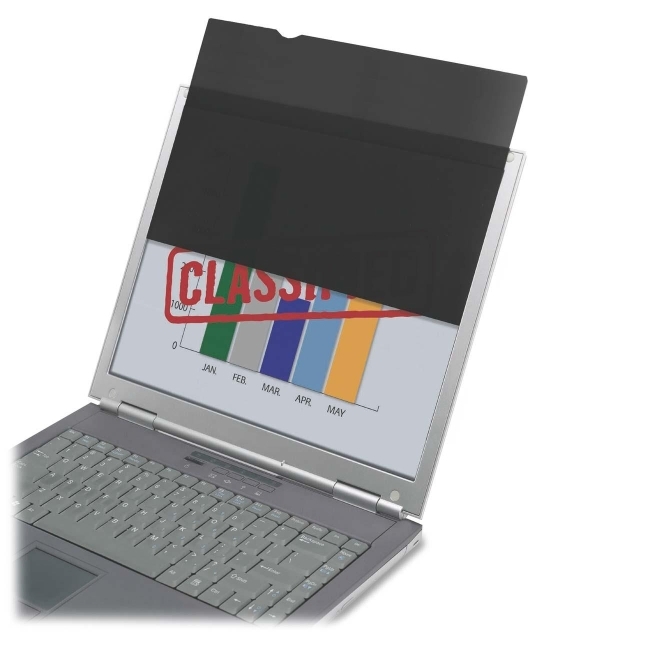 Privacy filter is easy to attach and remove with no harm to screens. Filter stays in place when your laptop is closed. To choose the correct filter for your monitor, match your screen height and width to the product's description. Filter is 100 percent recyclable, and the packaging is made using 100 percent recycled content.